Early merchant and diverse other vessels - Naval warfare and warships - Ancient and Medieval - Mediterranean and Indian Ocean - Atlantic and Pacific. The shūnī was a general classificatory name for an Arab galley though it is often referred to as a type on its own. Her equivalent was the Byzantine dromon. The real name of Konstans II (641–68) was Flavios Herakleios, but he was crowned as Constantine and he used that name on his coins. The new emperor, probably because of his youth, was universally known by the nickname of Konstans. During the early part of his reign the Senate exercised unusual power, but by the time he was 18 or so he ruled in his own name and began to take the field himself in command of his troops. Naturally the first concern of the emperor was the Arab threat, and Konstans devised an aggressive policy, urging his soldiers on with remembrance of the victories of Constantine, the first Christian emperor. Unfortunately for the emperor, the Arabs were increasingly better organized, and in Muawiya, the governor of Syria and then first Umayyad caliph (661–80), they had a leader who devised a carefully thought-out plan to conquer the Byzantine Empire. In 647 he began to make annual raids into Asia Minor. 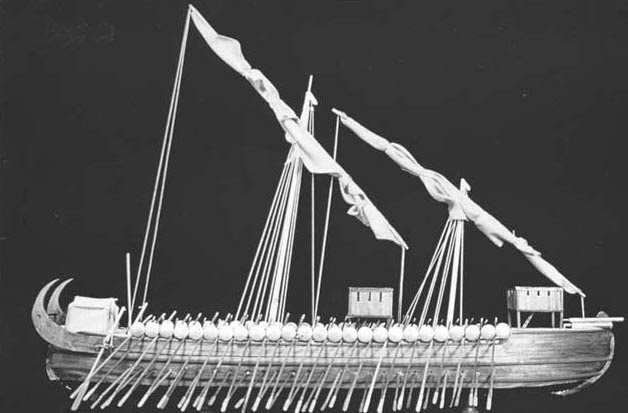 Muawiya was tolerant of Christians and he made use of Byzantine administrators and craftsmen, most notably to help with the construction of a fleet with which he sought to challenge Byzantine naval superiority and strike deep into the heart of the empire. Thus, Muawiya captured Cyprus (649), Rhodes (654), and Kos (654), challenging the Byzantines for control of the southern coast of Asia Minor. Interestingly enough, the Arabs were not able to hold Cyprus, and from this time until the middle of the tenth century Cyprus remained a “condominium” in which both Arabs and the Byzantine officials exercised authority and from which neither power was supposed to launch an attack on the other. This interesting arrangement was probably not unique in this period and indicates the ability of Byzantines and Arabs to interact in a less than hostile way. Konstans II recognized the danger posed by Muawiya’s success at sea, since it meant that the Byzantine heartland of Asia Minor was being caught in the “pincers” of a double threat from the Arabs: attacks by land and a surrounding movement to the south by sea. 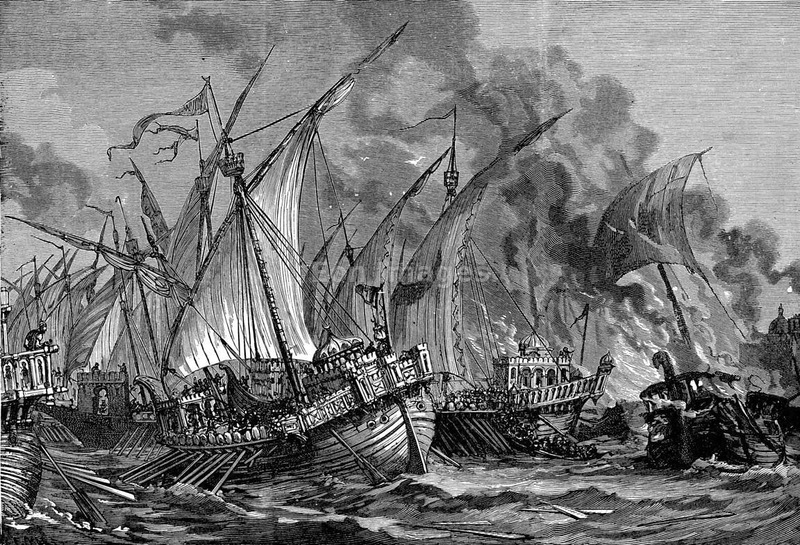 The emperor organized and personally commanded a fleet that set off to challenge the Arab navy, and the two powers met at the “Battle of the Masts” at Phoenix (modern Finike) in Lycia, off the southern coast of Asia Minor, in 655. The Arabs won a total victory and Konstans barely escaped with his life, disguising himself as an ordinary seaman.